My name is Dr. Ghazala Mulla. I am a BUMS doctor,i.e.Bachelor of Unani Medicine and Surgery. I am Associate professor in the subject of Physiology in a Unani Medical College and teaching Physiology for last twelve years. It is four and half years course of Pune University. As a part of our syllabus we studied all herbal medicine as well as Tib-e-Nabwi. We have a complete course on Regimenal Therapies which include Massage, Cupping, Leeching, blood letting, steam bath therapy and so on. In our course we have to study every detail about Hijjama. We have very old classical literature on Hijjama. Since last two years myself with my two friends Dr. Ajmal and Dr. Sufiyan have started Hijjama Therapy in Pune. In India people don’t have much knowledge about Hijjama and particularly where we have started our center. We are trying our best to popularised this therapy in Pune city as well as in Maharashtra. What particular illnesses/ conditions (if any), do you specialise / had the most experience in? We specialize in Arthritis, low back pain, Schiatica and all Chronic disorders. We do dry Hijjama in patient of low back pain, Sciatica, frozen shoulder, cervical spondylosis etc. Low back ache, frozen shoulder, cervical spondylosis and sciatica respond well to Hijjama therapy. I have not undergone myself for Hijjama therapy as no lady doctor is available to do the Hijjama therapy in Pune city. But I would like to get it done with a lady therapist. 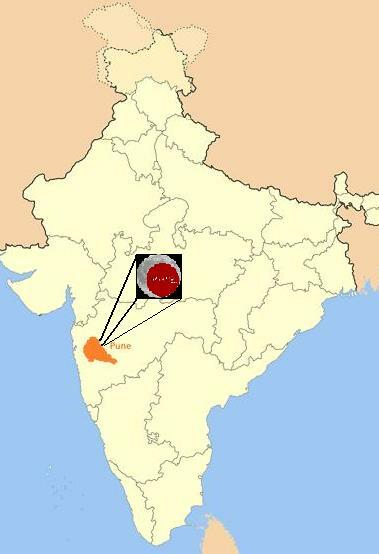 What is the overall prevalance of hijama therapy in Pune / Maharashtra, India? Is it available in hospitals and clinics as a valid alternative / sunnah therapy ? People of Pune are not aware of Hijama TherapyIn Maharashtra also people dont know about Hijama Tharapy. The therapy is not available in hospitals as a valid altenative therapy. – Whereabouts is your clinic or practice located? 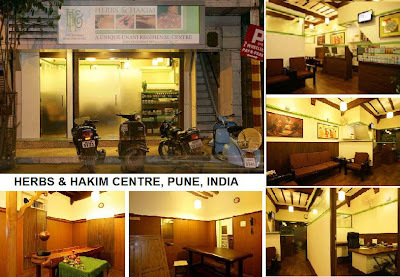 It is my wish to spread the knowldge of Hijjama Therapy to people of Pune as well as Maharashtra,and we would like to train as many doctors as possible as Hijjama Therapist. I thank your kind self for giving me an opportunity to let you people know about myself and about Herbs and Hakim. Our thanks to Dr. Ghazala Mulla of Herbs & Hakim Centre, in Pune India, for sharing the above post. If you have any questions for them, or if you have a patient of theirs and want to leave them a testimonial, then please leave a comment* below. I am in kARACHI, PAKISTAN. hAVE LOWER BACK PROBLEM SINCE 40 YEARS. hAve been operated for perforated ulcers,probably due to having lots of pain killers for over 25 years !! I am very interested in Hijama treatment. Do not know any REGISTERED practioner in Karachi, although I have been given to understand that there is one in Lahore. But not possible for me to go ther at the moment as do not know how long would it take to treat me. If anyone knows one in Karachi olease inform me. Please contact them and see if they can help you. I will Insha Allah conact him. i am from belgaum, karnataka. is there any near place for hijama therapy i can go?